For example, a card you close today, its payment history will continue reflecting on your credit report till about 10 years. 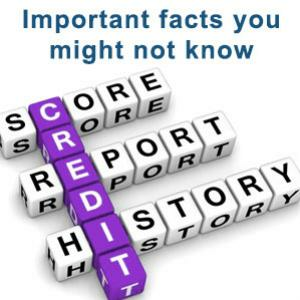 Do you think you know ins and outs of credit report and score? Do you know your credit utilization ratio or how long a card will continue affecting your credit reports after you close it? Here are 6 such things which you need to know in order to build a good credit record and have a good credit score. The value of your credit card still remains after you close it. For example, a card you close today, its payment history will continue reflecting on your credit report till about 10 years. However, any negative items on the card will not affect after 7 years. Therefore, the good and bad things on the card will continue affecting your credit score for some years (7 or 10 years depending on the item) even after you close it. The 3 major credit bureaus, namely, Equifax, Experian and TransUnion, generate your credit reports on the basis of your financial transactions which get reported to the bureaus. However, they do not judge your credit report or advise the creditors/lenders regarding approving or denying your loan applications. There are companies like FICO and VantageScore Solutions, which evaluate your credit report and assess your credit risk level and assign credit score. The lenders and creditors get these scores in order to assess your creditworthiness and on the basis of that, they agree or deny your credit/loan application. Debt is always a debt and there's no exception about delay in medical debt payments. However, usually medical bills are not reported to the credit bureaus till they are sent to the collection agencies. You should also know that the recent the medical debt is, the more is its negativity on your credit score. Utilization rate is actually an important thing. In order to calculate your utilization percentage, simply divide your outstanding credit card balance by your total credit limit (considering all your credit cards) and multiple the result with 100. The lower the percentage, the better for your credit score and vice versa. It is better if it is within 30%. How good it would have been if it was true. However, in reality, you do not have to have debt in order to build or rebuild your credit record. If you carry debt and continue making only the minimum payments on your cards, then it will affect your credit score negatively. Therefore, do not max your credit cards and try to pay the outstanding balance every month in order to build a good credit record and have a good score. What the credit-scoring models assess is whether or not you are able to manage your credit and loans properly and whether or not you are able to make the required payments on time. In reality, this is not always true. It may be a good option when you do not qualify for other type of cards. So, if you are looking to increase your utilization rate, then you can go for such a card as it will raise your overall credit limit instantly. However, do not use this card for buying things you do not require; on the contrary, use this card carefully so as to not build additional debt. Gathering this knowledge will help you build a good credit record which in turn, will help you achieve a good credit score. In turn, you can take out loans at favorable interest rates and build a better financial life.